A memoir of renewal and self discovery that explores the magic of ballroom dancing and its power to bring grace, balance and passion into everyday life. See my ballroom dancing activities and credentials. Read Fan Mail. How gratifying to read a book that uses dancing as a metaphor for life and shows how it inspires the steps forward that every woman needs to take. This riveting personal story is guaranteed to help anyone find their center and balance. Brava Janet! Senior Corporate Vice President of the Estee Lauder Companies, Inc.
With insight and humor, Janet Carlson shares the joy, exhilaration and self-revelations that ballroom dancing has brought her. She draws the reader into her lessons, her partnerships, and her life, and in doing so reveals just how accurately ballroom dancing both reflects and transforms life. 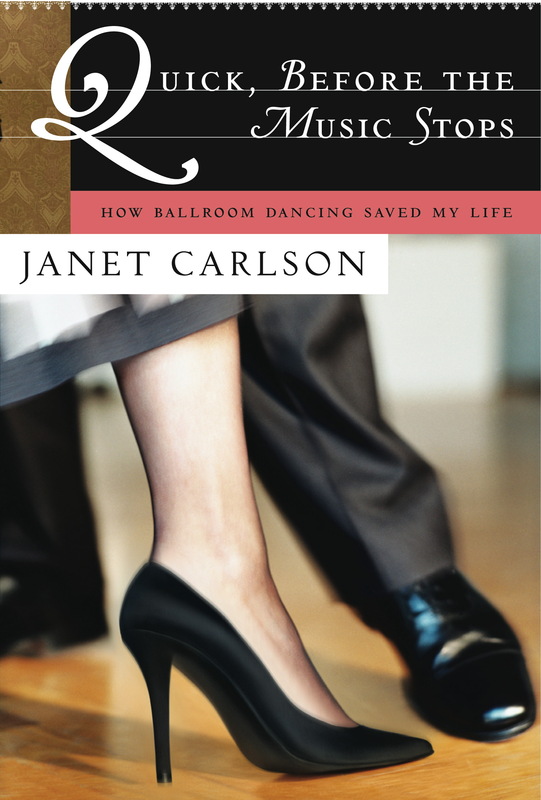 Janet Carlson beautifully describes ballroom dancing as intricate, joyful, athletic, and most important, a way to learn how to live life. If you canÕt hit the dance floor, read this book. Better yet, do both.